Our No Parking Signs allow you to manage your property better by preventing unauthorized vehicles from accessing your space. Multiple options. Enforce your rules your way. Choose from various design options and create your very own custom reflective aluminum No Parking signage. 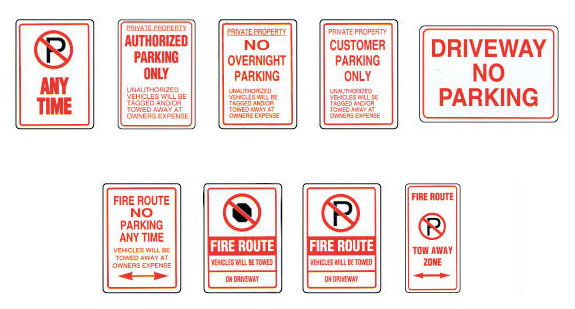 We’ll also customize your No Parking Signs with symbols, text, logos, and anything else you require! 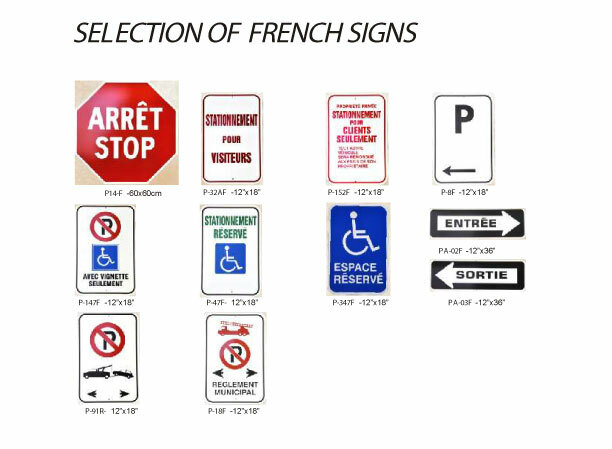 We’ll create your signage in accordance with your municipality’s parking regulations. One-stop sign shop. We also specialize in Custom Regulatory Signs, Waste Control Signs, Styrene Signs, Fire Route Signs and LED Snap Frames, all of which can be customized affordably. We can also create durable, rustproof and 100% weatherproof plastic No Parking Stencils for you, completely customized to your requirements. Contact us to order your No Parking Signs!